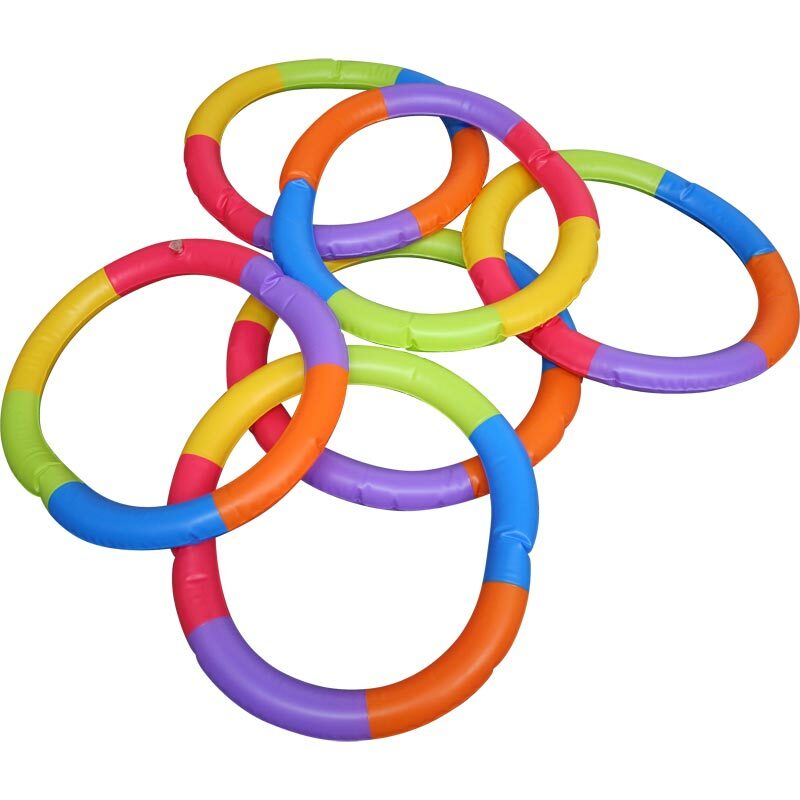 The PLAYM8 ® Inflatable Rainbow Rings are coloured inflatable hoops which create hours of fun. Will help children quickly develop eye-tracking and hand-eye co-ordination by catching the coloured panels with one or two hands. Made from thick durable vinyl. Size when inflated 51cm (20") diameter x 5cm (2") thick.